You know from his blog and previous work: Visualizing Information with Microsoft Office Visio 2007, that David Parker produces high-quality work. I’m sure that we can expect the same from this book. 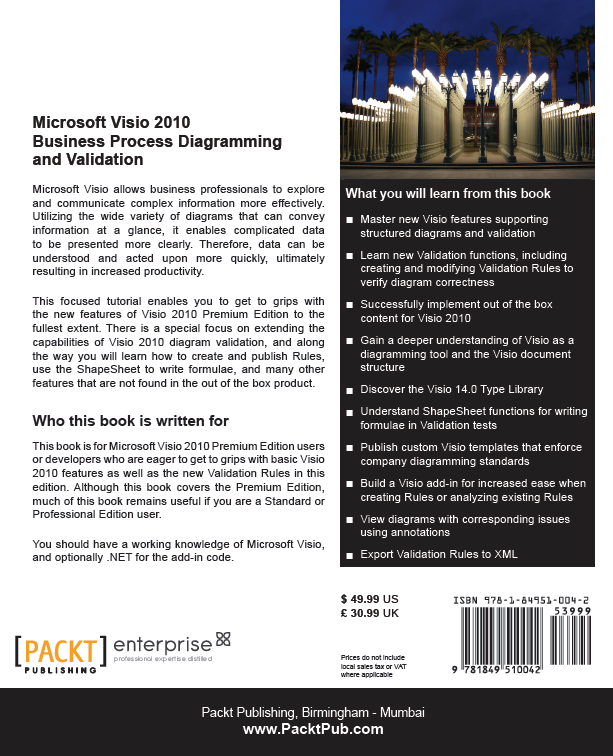 The book explains the new validation rules features of Visio 2010, including how to validate diagrams, create new rule sets, publish them, and understand the automation APIs behind them. The book takes you through the development of the RulesTools suite of utilities. RulesTools help you to create, explore and apply validation rules. 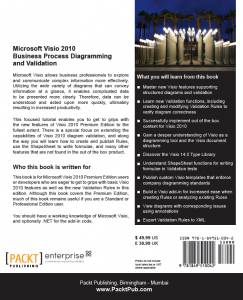 By building the tools chapter-by-chapter, you will learn how to incorporate validation into your own custom Visio 2010 add-ins and solutions. This book is intended for technical types and developers. 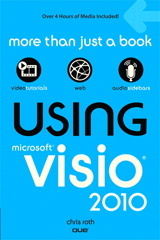 While the book is aimed at Visio 2010 Premium, users of the Standard and Professional editions will still find much of it useful. To understand the code and add-in-creation portions of the book, knowledge of .NET will also help. Expertise in business process diagramming is not necessary, however. 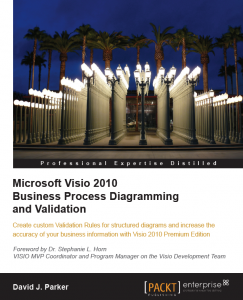 Get the book here: Microsoft Visio 2010 Business Process Diagramming and Validation. Below, I’ve included the preface and table-of-contents from the book to give you more information about what’s inside! This is what Parker’s new book would look like if you went to the book store, pulled it off the shelf and held it in your hands. Once the creators of Aldus PageMaker, had delivered Desktop Publishing to the masses, they then decided that they could make a smarter diagramming application. Eighteen months later, they emerged with the Visio product. Now they needed to get a foothold in the market, so they targeted the leading process flow diagramming package of the day, ABC Flowcharter, as the one to outdo. They soon achieved their aim to become the number one flowcharting application, and so they went after other usage scenarios, such as network diagramming, organization charts and building plans. In 1999, Microsoft bought Visio Corporation and Visio gradually became Microsoft Office Visio, meaning that all add-ons had to be written in a certain manner, and the common Microsoft Office core libraries like the Fluent UI were ever more increasingly employed. Flowcharting still accounts for 30% of the typical uses that Visio is put to, but the core product did not substantially enhance its flowcharting abilities. There were some add-ons that provided rules, perhaps most notably for Data Flow Diagrams (which came and went); UML and Database Modelling, and many third parties have built whole flowcharting applications based on Visio. What all of these enhancements have in common is the imposition of a structure to the diagrams, which necessarily means the adoption of one rule set or another. There are a lot of competing and complementary rule sets in use, but what is important is that the chosen rule set fits the purpose it is being used for, and that it can be understood by other related professionals. This chapter introduces the new features that have been added to Microsoft Visio to support structured diagrams and validation. You will see where Visio fits in the Process Management stack, and explore the relevant out of the box content. This chapter explains the Microsoft Visio 14.0 Type Library and the key objects, collections, and methods in the programmer’s interface of Visio, where relevant for structured diagrams. This chapter explains the Microsoft Visio ShapeSheet and the key sections, rows and cells, and functions available for writing ShapeSheet formulae, where relevant for structured diagrams. This chapter explains the Microsoft Visio Validation API and the key objects, collections, events and methods in the programmer’s interface for Visio diagram validation. Microsoft Visio 2010 does not provide a user interface to the Validation API for rules developers to use, so this chapter is devoted to building a useful tool, called Rules Tools, to enable the tasks to be performed easily. This chapter will extend the tool, started in Chapter 5, to provide an import/export routine of rules to an XML file, or to an HTML report, and a feature to add issues as annotations in Visio diagrams. 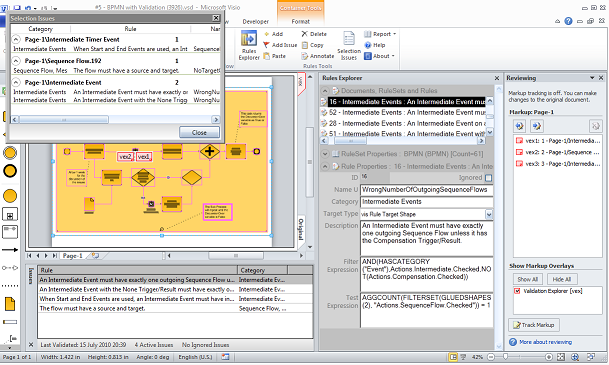 In this chapter, the tool created in the previous chapter to create rules for structured diagramming will be used. This chapter will look at common ShapeSheet functions that will be useful for rules, and the new Validation functions. It will also go through different scenarios for creating rules, especially with regard to Filter and Test Expressions. 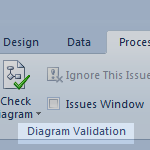 This chapter will go through different methods for publishing Visio validation rules for others to use. This chapter presents a complete cycle for writing validation rules for the Data Flow Model Diagram methodology. Validation rules are created using the Rules Tools add-in developed in previous chapters, although alternative VBA code is provided. This book is primarily for Microsoft Office Visio users or developers who want to know how to use, and extend, the new Validation Rules in Microsoft Office Visio 2010 Premium Edition. There are some rule sets available out of the box, but the capability can be added to many sorts of diagramming, whether they are process flows, network cabling drawings or risk dependency diagrams, for example. 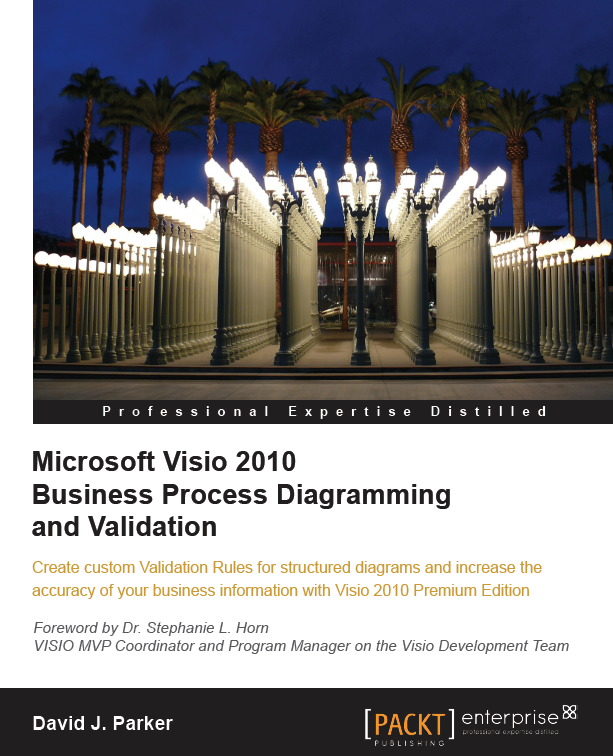 This is not a Visio SmartShape developer manual or a Visio automation guide, although these subjects are explored when relevant for writing validation rules, but it does shed light on the possibilities with this new powerful feature of Microsoft Office Visio 2010. This book will be an essential guide to understanding and creating structured diagramming rules, and will add developer tools that are not in the out-of-the-box product. Update: Get a free Sample Chapter for Rules & Validation Book! Previous Post: « Add Spice to Your Visio Skills With Randomization!